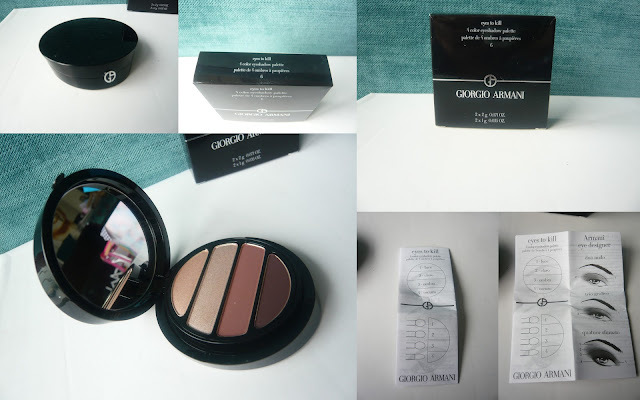 I have been having a bit of a love affair recently - you will be pleased to know I have excellent taste and this love affair involved Giorgio Armani and the Eyes to Kill Quad in Number 6. This love affair makes me feel really classy and sophisticated as only Armani can make a girl feel. When I started using this I needed some cheering up - I had just returned home from my holidays so I was experiencing a post holiday downer and I was feeling shattered. Eyes to Kill quad was exactly what I needed. The quad is simple and stunning and is a mix of two shimmering shadows (the top two) and two matte shades (the bottom two). Now you may or may not know that I am not a fan of matte shadows - I know all the cool kids are big fans but I am neither cool nor a kid and for the most part matte shadows are hard to work with and generally a bit poo (I cant believe I used the word poo in a Armani post, it seems so wrong). Armani promises that these are "the perfect matte" - pift I thought, prove it. If I am being honest here when I started to play with this quad (hands up who plays with make up) it was a lazy Sunday and when I mean lazy, I mean I was still in my PJs with an unwashed face - the minute I started to swatch the shadows I knew they were something special so I legged it in to wash my face so I could put these on my eyes. The shadows are soft and yet pigmented and the mattes are only frickin' deadly - they are not chalky or bitty, Armani have indeed created a smooth and blendable matte. OK OK Armani I believe you they are the perfect matte - and quite possibly the perfect quad. 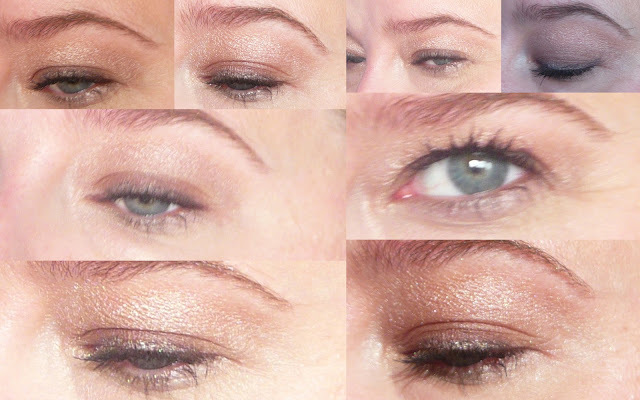 There is not a bum colour in the set - initially I thought the lightest matte colour (second on left above) was a bit too ruddy brown, but it is extremely flattering on the eye. It's just one of those sets where all the colours work well. The compact itself is sleek black, now usually I am not a fan of plain black packaging (ahem MAC) but Armani make it sleek with a satisfying magnetic close, which makes it so fancy like something Bond would use - if Bond was a woman or perhaps just wanted to highlight those amazing blue peepers (these colours would look stunning on him). My only gripe with the packaging is the inclusion of the sponge applicators. The palette costs €58.50 so if I am spending that much on a palette I am going to have a couple of brushes floating around. When buying makeup I tend to apply "Makeup Maths" and to me I would feel a whole lot better if the palette didn't have the spongy tips and the secret compartment where they are held and the palette cost €48.50. Makeup Maths would make me feel better if the palette was under the big 50 - its just the way my mind works. Armani Eyes to Kill Quad Palette No 6 Boudoir costs €58.50 and would make a fantastic Christmas present. Armani Cosmetics have been knocking it out of the park lately and I have been so impressed by their latest offerings. What is your favourite product from Armani?